Created for the "So Bad It's Good" game jam. 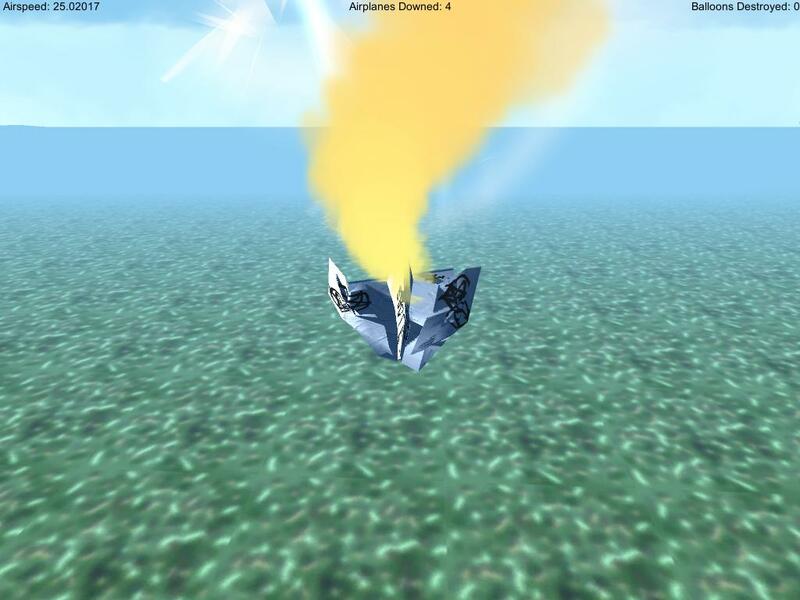 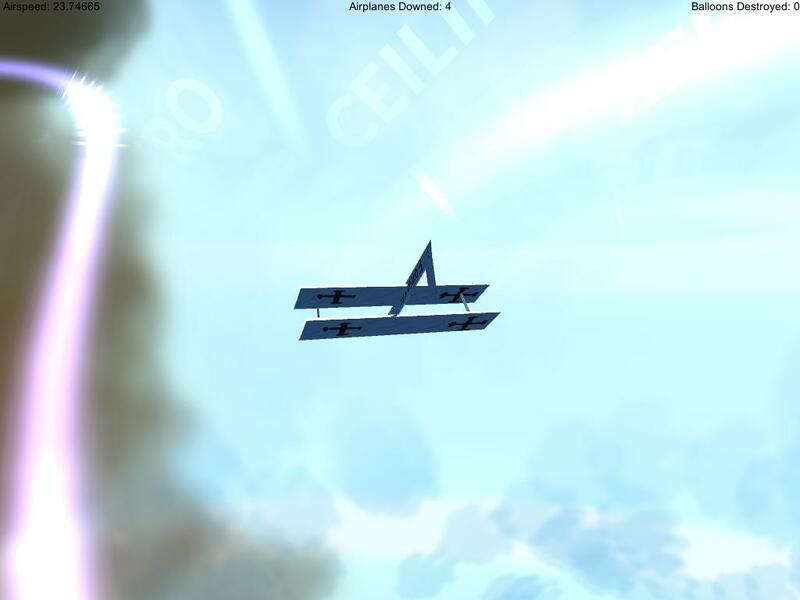 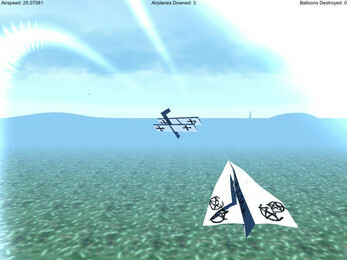 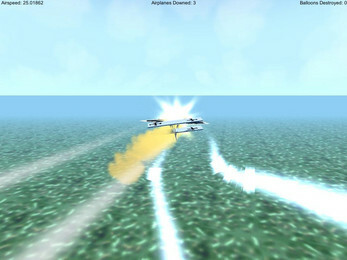 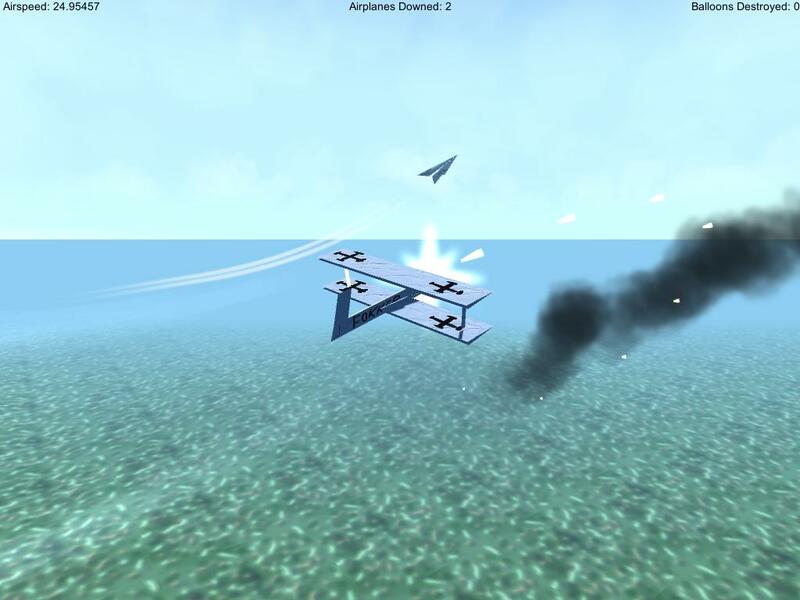 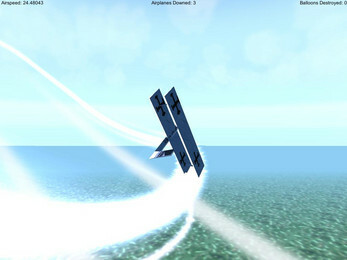 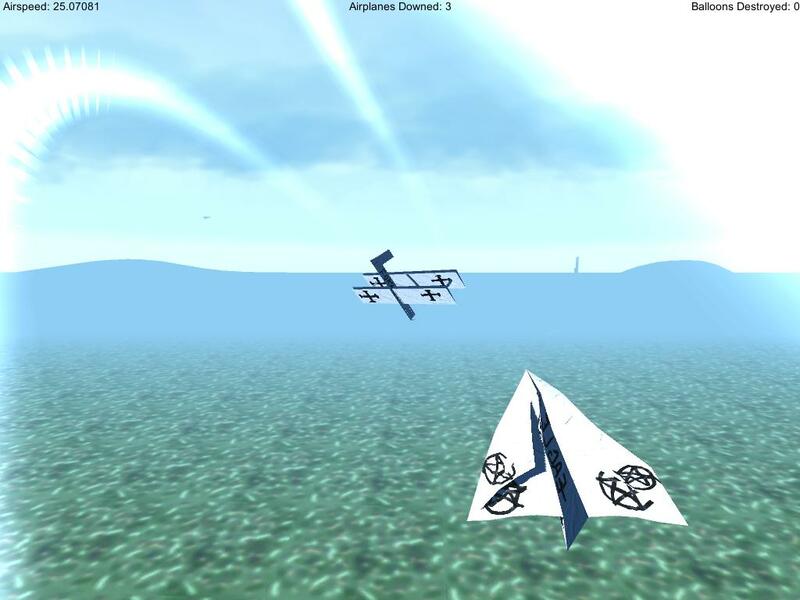 In this poorly implemented facsimile of a "combat flight simulator", the player assumes the controls of a paper-constructed biplane amidst its aerial rampage across the spectacle of a bland and deserted landscape, undaunted in its objectives to destroy as many paper airplanes and helium balloons as possible. Enjoy lousy controls, poorly implemented flight "dynamics", and a woefully inaccurate firing system which should feasibly complicate your task from start to finish.